Home announcements Apple Development Features Firmware Updates iOS 7 Review WWDC 2013 Meet iOS 7 – The Mobile OS From A Whole New Perspective! Meet iOS 7 – The Mobile OS From A Whole New Perspective! The major change you’ll spot at the very first sight is the Control Center which gives access to the controls and apps you always seem to need right this second. With just a swipe up from any screen (even the Lock Screen), users will be able to gain access to Airplane mode, turn Wi-Fi on or off, or adjust the brightness of the display. So this simple swipe gives you more control than any other swipe ever. The next updated feature is the Notification Center which lets you know about new mail, missed calls, to-dos that need doing, and more. The newly added feature- Today- is a nice summary of what you need to know about for the day - it’s a certain someone’s birthday, if you’ll need an umbrella, or if traffic will slow down your commute. Moreover, the new All and Missed views are also available, letting you see all your alerts or just those you haven’t addressed in the last 24 hours. Multitasking on iOS 7 knows what you want to do before you do. Because iOS 7 learns when you like to use your apps and can update your content before you launch them, so it’s now even smarter to switch between apps. Replay lets you see preview screens of the apps you have open via pressing the home button twice, while iOS schedules updates during power-efficient times, so your battery isn’t drained unnecessarily. As for Camera in iOS 7 – it puts all your shooting formats front and center, allowing you to capture what you want the way you want with a swipe. New filters are added, including retro, black and white and so on. Filters can be picked before the image is taken, or can be applied later to the shots. They can be simply removed once you change your mind later. 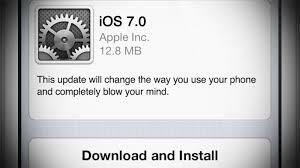 With iOS 7 its now faster, easier, and more delightful to down your photo memory lane. The shots are grouped in a smarter way allowing you to search your collection based on time and place inside a collection or a year-to-year preview, demonstrating photo and video you’ve ever taken almost like artwork! The new way of sharing has also been introduced- Enter AirDrop for iOS, for sending files to those next to you with simple few taps and highest security! As for Safari, along with the new icon, browsing is also made bigger, better, and more beautiful. There are tons of new features added so nothing gets in your way or slows you down, including unified smart search field, new tab view, shared Links, reading list, iCloud Keychain, Password Generator and many more! At last, there is an iTunes Radio is available, featuring streaming radio stations. It becomes more personalized as you listen more and is available for iPhone, iPad, iPod touch, Mac, PC, and Apple TV for free. Major enhancements have been applied to Siri as well, which has a new look, a new sound, and new capabilities in iOS 7. It’s now easier to understand a new, more natural speech pattern ad takes on extra tasks, like returning calls, playing voicemail, controlling iTunes Radio, and more. The interesting fact is that the web search results are now displayed from Bing as a default. Apps Near Me is another new feature of the App Store in iOS 7, showing a collection of popular apps relevant to your current location as well as based on age (for kids). iOS 7 also keeps your apps up to date automatically, so you don’t have to bother. Find My iPhone in iOS 7 can help you get your device back if you happen to lose it, but if it’s impossible, new security features in iOS 7 make it harder for anyone who’s not you to use or sell your device. So your iPhone is still your iPhone wherever it is. And finally, the iOS in the Car seamlessly integrates your iOS device with the in-dash system found in vehicles equipped with it! By connecting an iPhone 5 users can interact with it using the car’s built-in display and controls or Siri Eyes Free to make safer calls, send and receive messages, get directions and more! 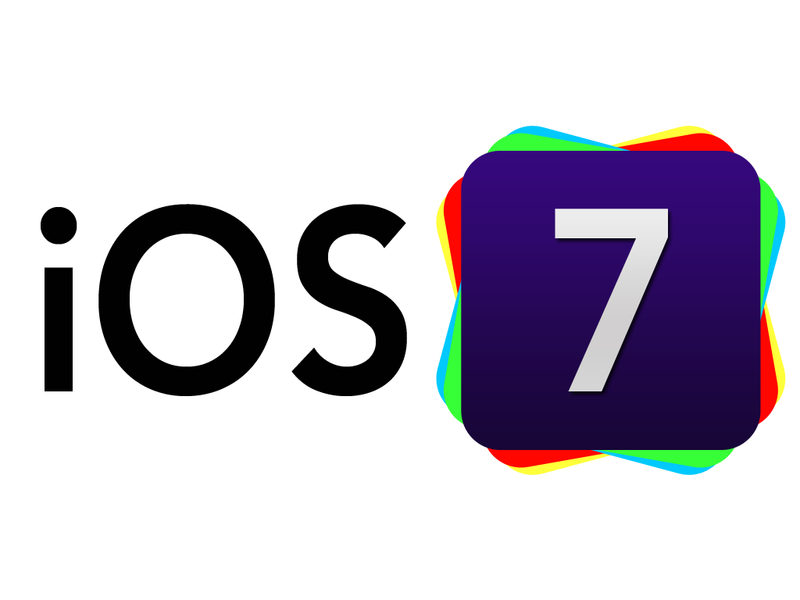 These are the features of iOS 7 that were officially shown off yesterday. The developer beta is already available, so if you’ve already tried it on your iDevice, do not hesitate to share if you have found something new we missed to mention above!